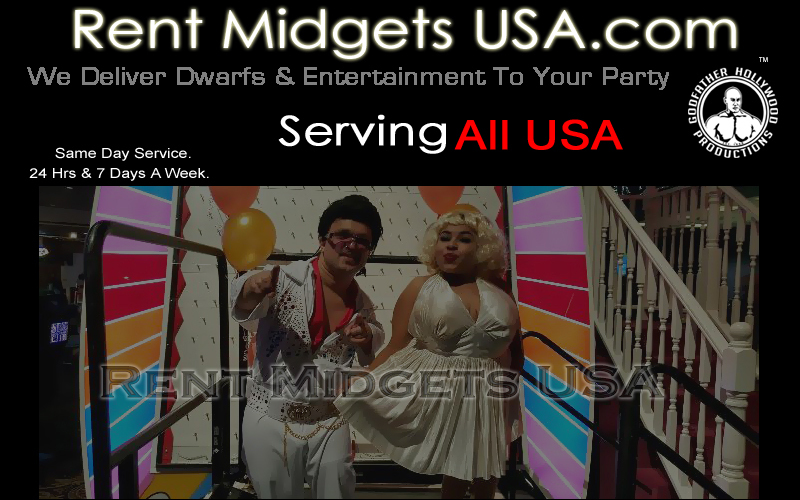 We have a 24 hour hotline that is even open during holidays for all you wild and fun customers looking to be the talk of the town, our midget operators are here to help and serve you so that you choose the perfect midget entertainer for your wedding, birthday party, hosting event, bachelor party, or bachelorette party.You can actually start your order through text if you are busy or in a work environment because we love to make it easy to book a fun little person for your big event. New locations coming soon all over california, las vegas, texas, arizona, honolulu, and all over usa. Alabama  Alaska  Arizona  Atlanta  Albuquerque  California  Colorado  Chicago  Connecticut  Denver  Delaware  Florida  Georgia  Hawaii  Houston  Idaho  Illinois  Indiana  Iowa  Kansas  Kentucky  Louisiana  Maine  Maryland  Massachusetts  Michigan  Miami  Minnesota  Mississippi  Missouri  Montana  Nebraska  Nevada  New Hampshire  New Orleans  New Jersey  New Mexico  New York  New York City  North Carolina  North Dakota  Ohio  Oklahoma  Oregon  Phoenix  Pennsylvania  Rhode Island  San Diego  South Carolina  Tennessee  Texas  Utah  Vermont  Virginia  Washington D.C.  West Virginia  Wisconsin  Wyoming. Contact our san diego location today if you need a party near murrieta, la jolla, valley center, oceanside, del mar, escondido, coronado, el cajon, la mesa, and chula vista.